Ahoy, ocean adventurers! Join us as we set sail on a new Adventure at Sea to the central Gulf of Mexico with Eileen Hayes and Abby Madeiros, our next two Teachers @ Sea. The expedition will be from November 5-11. We will board the research vessel Bellows in St. Petersburg, Florida then sail west along the continental shelf towards the slope to conduct C-IMAGE plankton research. Follow us as we join USF scientists to help answer questions about the current ecology of the Gulf. 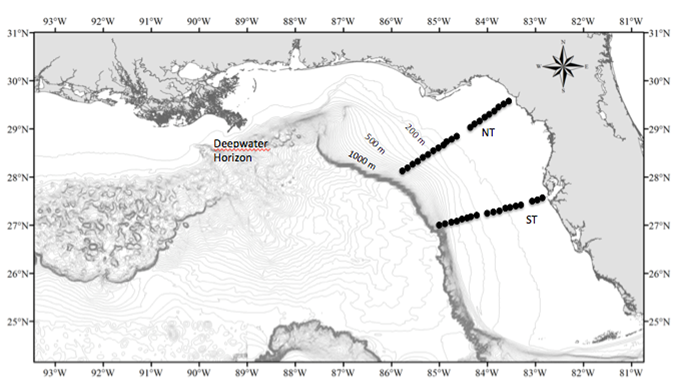 The mission of the C-IMAGE cruises is to help to answer several fundamental questions about the Deep Water Horizon (DWH) event and subsequent impacts on the plankton population, reef and fish communities and the microbial communities. Teachers will be part of the scientific crew and participate in the at sea research. If your classroom or group would like to participate in a LIVE video conference via Skype during our expedition, please contact Teresa Greely, greely@usf.edu for details. While at sea teachers will be the ship to shore communicators via daily blogs and LIVE video conferencing with formal and informal classrooms. Marine scientists, post-docs and graduate students participating in the C-IMAGE cruises will collaborate with the teacher on board to communicate the science, technology and life at sea experiences to educational and general audiences. 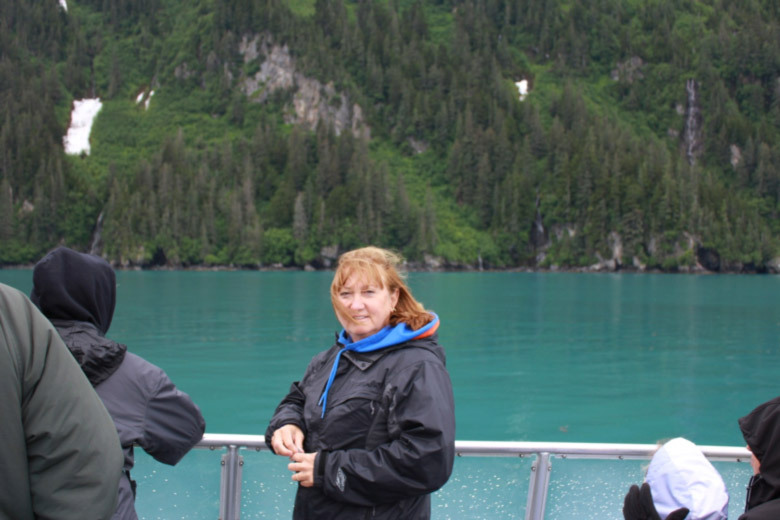 Meet Eileen Hayes, C-IMAGE Teacher at Sea during November 2012 expedition. 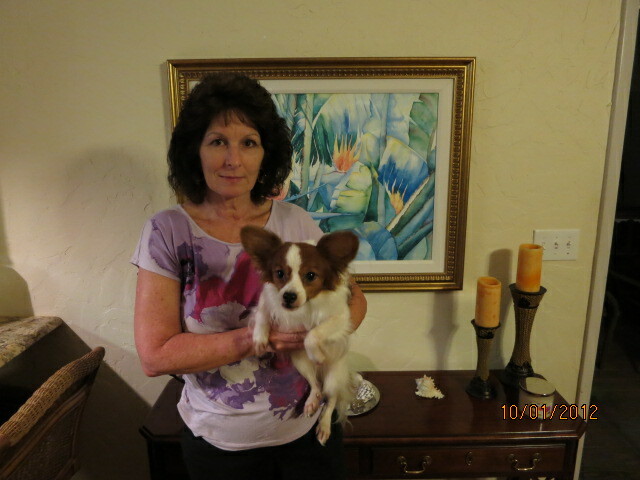 Eileen is a marine science teacher at Ida Baker High School in Cape Coral, Florida. Eileen Haye’s interest in the ocean began as a little girl when her father started taking her on deep-sea fishing trips. But once she learned to scuba dive, that interest grew into a full-blown passion! 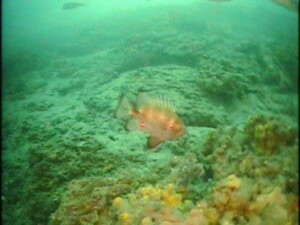 Her favorite place to be is underwater, observing and photographing marine life in their various habitats. She describes herself as an avid marine conservationist and believes we all share in the responsibility for the sustainability of our oceans. She supports captive breeding programs of ornamental marine fish to reduce and hopefully eliminate collection processes that are destructive to coral reefs. Eileen shares her enthusiasm for the ocean and its life with her students. She currently teaches Marine Science at Ida Baker High School in Cape Coral, Florida, but she has also taught elementary and middle school during her 24 years of teaching. She raises clownfish at home and in the classroom, and hopes that the students’ involvement with the fish will encourage them to become life-long stewards of the marine environment. Hello I am Abby Madeiros. I’m proud to be a Pinellas County Middle School Science teacher for the last 26 years. I’ve had the pleasure of teaching all 3 grades of middle school science, gifted science classes, computer classes and math classes. I’ve especially enjoyed my relationship with the USF College of Marine Science. It has afforded me the opportunity to work with the Oceanography Camp for Girls, the NSF-funded GK-12 OCEANS Teaching Fellowship program, the NOAA and USGS weekend professional development series and now the C-IMAGE Teacher at Sea Program. I’m also a member of the Pier Aquarium Educational Board. In my spare time I like to read, bike and bake. I have a wonderful husband and 3 sons. My newest hobby is spending a month in Vermont over the summer and I’m learning to enjoy hiking on the Long Trail. The goal of this cruise is to assess the impact of BP Oil on Florida Shelf Ecosystems by comparing non-impacted (west Florida shelf) with impacted (north Florida shelf) locations. Researchers from the College of Marine Science/USF and RSMAS/University of Miami will assess the impact of oil on Florida marine ecosystems by comparing non-impacted west Florida shelf and impacted north Florida shelf sites. This cruise will focus on coupling in situ and shipboard analyses of physical and chemical parameters, with biological studies of toxicity, microplankton community health, and the abundance and distribution of plankton. Geographic Area. 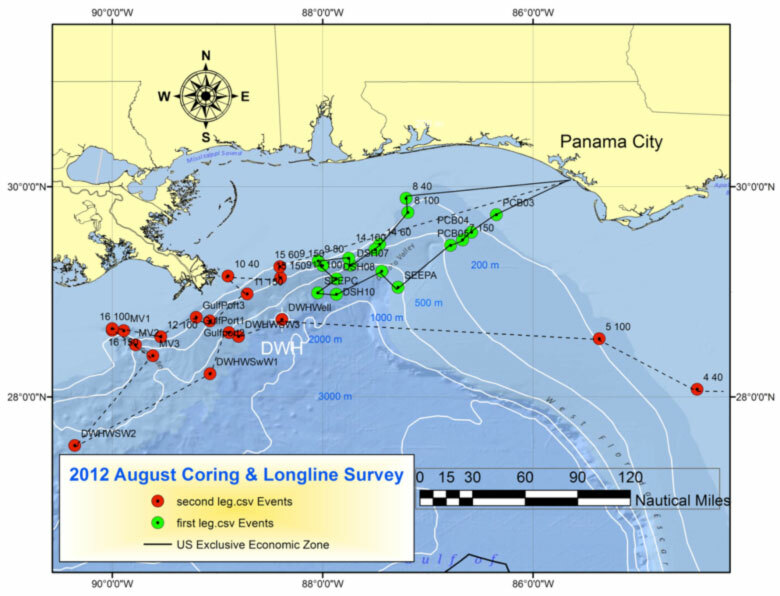 We will collect measurements at stations along two transects on the west Florida shelf (see attached). One transect extends out from Tampa Bay (~10 m to 860 m on the shelf/slope) and the other transect extends from the Big Bend area out to the shelf/slope. Ahoy, ocean adventurers! Join us as we set sail on a new Adventure at Sea to the northern Gulf of Mexico with Patty Murphy Smukall, our first Teacher @ Sea. The expedition will be from August 14-21. We will board the research vessel Weatherbird II in Panama City then sail to Desoto Canyon to begin the research. Follow us as we join USF scientists to help answer questions about the current ecology of the Gulf. The mission of the C-IMAGE cruises is to help to answer several fundamental questions about the Deep Water Horizon (DWH) event and subsequent impacts on the plankton population, reef and fish communities and the microbial communities. 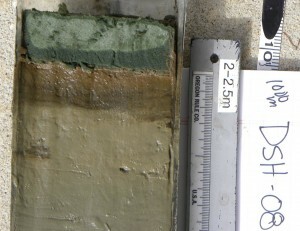 Deep sea sediment samples, plankton and fishes collected during these expeditions will be the data source. Teachers will be part of the scientific crew and participate in the at sea research. 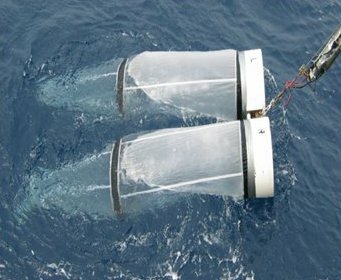 Sampling activities include the use of the Sipper plankton sampler, multi-core sediment system and long line surveys to assess fish health. While at sea teachers will be the ship to shore communicators via social media (Twitter and daily blogs) and LIVE video conferencing with formal and informal classrooms. Marine scientists, post-docs and graduate students participating in the C-IMAGE cruises will collaborate with the teacher on board to communicate the science, technology and life at sea experiences to educational and general audiences. While on shore teachers will translate their At Sea learning experience to understandable inquiry-based lessons about the science and technology encompassing the northern Gulf of Mexico ecology, the DWH event and subsequent impacts. Lessons developed from the cruises will inform a future series of C-IMAGE Teacher Professional Developments during Phase 2 of Outreach & Communication. Once developed lessons will be available to science educators electronically via the College of Marine Science Education & Outreach . The overarching goal of our outreach activities is to advance ocean sciences literacy and education by understanding and applying the science we learn along the way. If your classroom, school or other educational facility would like to participate in a LIVE video conference during our expedition, please contact Teresa Greely, greely@usf.edu for details. Follow USF alumni, PATTY MURPHY SMUKALL, as our first Teacher at Sea! Patty’s science footsteps. Patty is a science teacher who has taught Marine Biology, Biology, Earth Science and Physical Science. This school year she will be teaching 11-12 grade Marine Science classes. She has been teaching in the classroom for 22 years and 5 years at zoos/aquariums, including Sea World and Mill Mt. Zoo. Patty has always been interested in the ocean and its inhabitants, ever since she watched “Flipper” as a little girl. She followed the dream of working with dolphins by attending USF and majoring in Zoology. The dream became reality when she began her science career working at Sea World with dolphins, manatees, sea lions and other marine mammals. Later, she realized that the best way to have an impact on conservation is to teach the next generation to care. 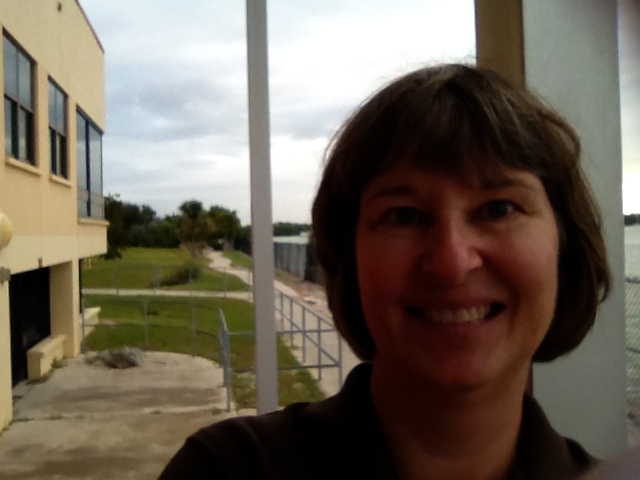 She has spent the last several years teaching Marine Science, currently at Wekiva High School in Apopka, Florida. Patty’s recent visit to Alaska. 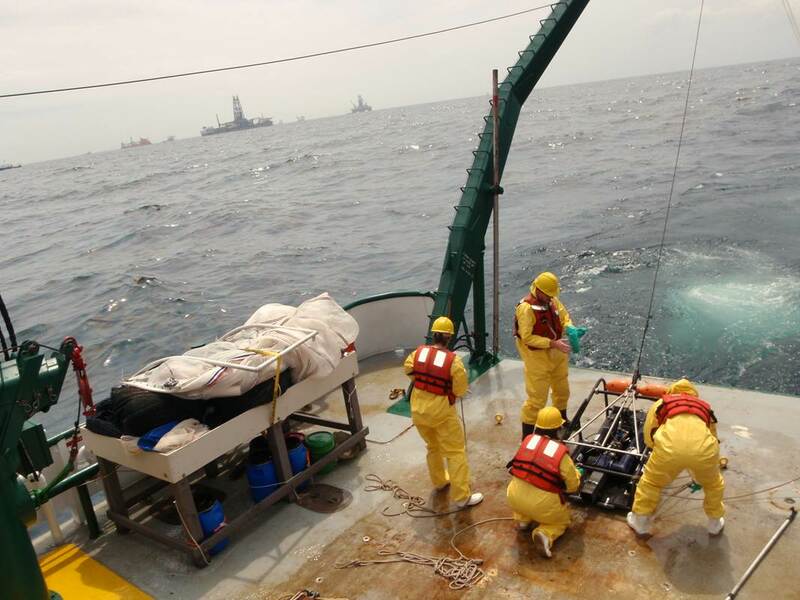 The goal of this cruise is to evaluate the extent of fish disease and to characterize the distribution and fate of oiled sediment at sites on the continental shelf and slope of the northern Gulf of Mexico. Sampling activity will include long-line fishing, sediment coring and water column hydrography. Map view of proposed sampling sites and ship routes for Leg 1 (green) and Leg 2 (red). I’m enjoying following your adventures and getting to know the team! Keep the pictures coming! I envy Patty Smukall as the first teacher at sea! I can’t wait to hear all about this amazing project from a teacher’s point of view! It was a wonderful experience from my point of view. My students will benefit for years to come. I wrote a final blog explaining the most surprising aspects of the adventure and the ways it will benefit my classes. That blog should go public soon. Thanks for following. Look forward to blogs and Skype events– is there a schedule for latter?